If your family’s new home wish list includes breathtaking home sites, a wealth of amenities for all ages and easy access to business, shopping and entertainment, it may be the perfect time to visit Crystal Falls. Located in the prosperous and growing Northwest Austin corridor, yet minutes away from the tranquil coves of Lake Travis, this gorgeous master-planned community truly has it all. 41 Reasons to Love Crystal FallsGreat Amenities and Location Residents of Crystal Falls will enjoy substantial amenities including a Junior Olympic Pool with a splash and play park, fishing pond, tennis courts, and a disc golf course. A second amenity center includes a leisure pool, bathhouse, sand volleyball, playscape, picnic area and recreational field. The stunning 18-hole Crystal Falls Golf Course has a new pro shop, restaurant, creek side park, cart barn, and driving range with a short game practice area. Crystal Falls is located in the Leander School District with three on-site Elementary Schools. 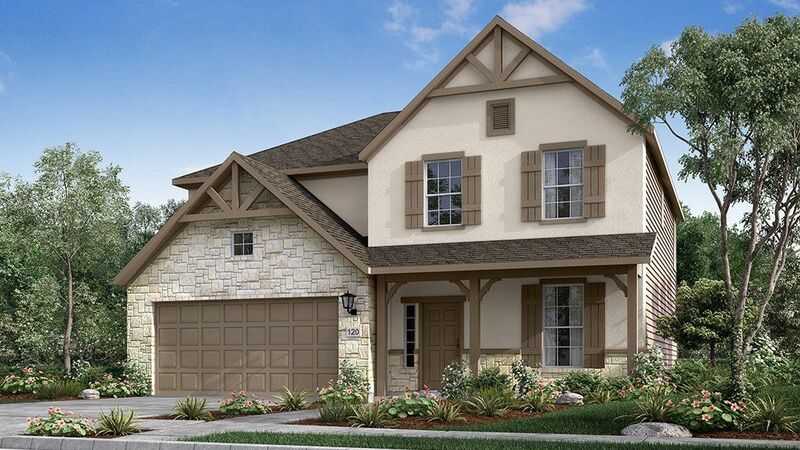 The Middle School and High School are less than 1 mile away.Taylor Morrison Homes at Crystal Falls Taylor Morrison offers a wide selection of homesites sizes and a lengthy line up of brand new innovative home designs with beautiful exteriors which compliments the surrounding hill country. The sheer natural beauty of Crystal Falls speaks for itself, but of equal importance is what the community offers through impeccable location, resort quality amenities, great schools, and an unparallel quality of life that will provide cherished memories and shape your family for years to come. Make Crystal Falls Home with Our Special Financing OptionWhat could be smarter than getting your dream home at Crystal Falls while saving hundreds every month for two years? That’s money you can use to buy furniture, create an emergency fund, or invest in your future.